The history of embroidery, and evidence of basic stitches that are still favorites today, dates back centuries. And while it's not known whether those first stitches were meant to be purely practical or primarily decorative, those pretty and practical qualities have moved embroidery up a few notches on my favorite craft techniques list. 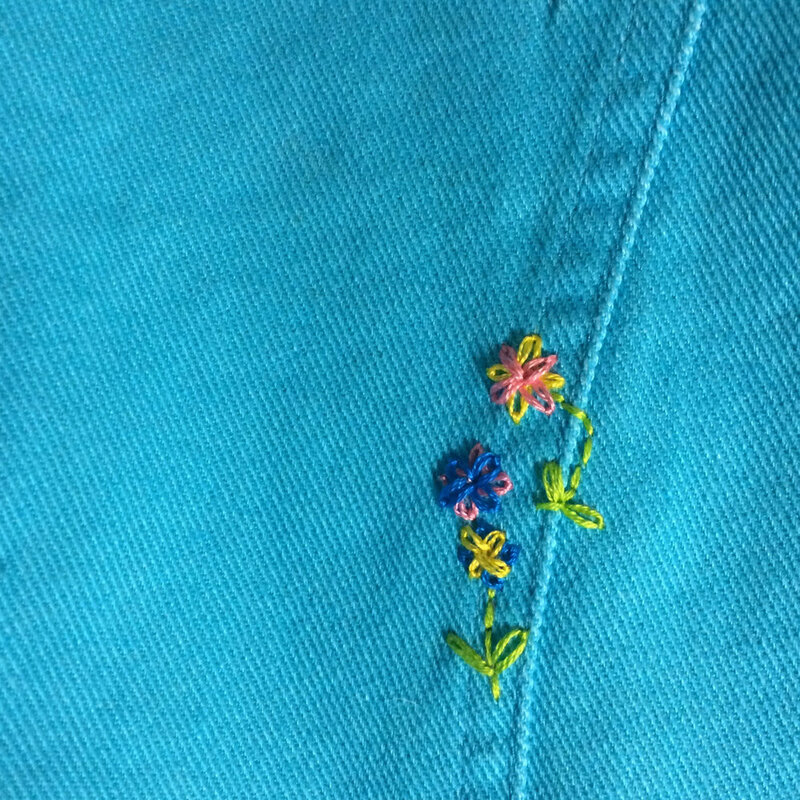 This spring I free-handed a simple back stitch and a few lazy daisies to cover some tiny stains on an otherwise awesome $5 jacket from the thrift store. Few have even spotted the stitches and the ones who have have loved the idea of "rescuing" something with a few pretty stitches. And just recently a favorite dress of mine has developed a tiny hole in the skirt and you can bet that embroidering over that spot is next on my practical crafting list. Thankfully, embroidery isn't only for mending. I have two weddings coming up and am debating whether some monogrammed napkins for the bride and groom or a custom embroidered hoop for their wall might be good keepsakes. I have some time yet before those gifts are needed, so I'll continue to play with different stitches and color combinations on some practice hoops (that just happen to look great on my wall) in the meantime. And if you're itching to give pretty and practical embroidery a try, we have both an evening and a weekend class offering on the schedule. Join us!